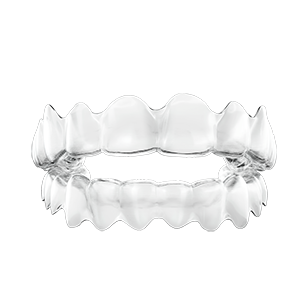 Orthodontics (referred to a having braces) is generally the treatment to improve the appearance and alignment of teeth relating to a range of conditions including crowding and protruding teeth. Orthodontics aims to also correct issues with how the teeth bite together. Orthodontists are qualified dentists who have completed additional training and examinations with a view to specialising in orthodontics. A specialist in orthodontist will have completed an additional 3 years of full time postgraduate training following on from an initial 5 years studying dentistry. Only these dentists are eligible to register with the General Dental Council as a specialist in the field of orthodontics. Our practice principle and orthodontist Mrs Puthri Raphy has completed 3 years postgraduate training working on the orthodontic clinic at Liverpool Dental Hospital and is registered as a specialist in orthodontics. How do I see an orthodontist? Normally your dentist will refer you to an orthodontist should you qualify for free NHS orthodontic dental treatment (according to age and national clinical criteria) and you would attend a consultation. Following your consultation you will be added to a waiting list to start NHS orthodontic treatment. If you are considering “braces” and if you don’t qualify for free NHS orthodontic treatment or don’t wish to wait for NHS orthodontic treatment to start at St Raphael’s Dental Practice we are able to offer orthodontic treatment provided by our orthodontist Puthri on a private basis offering a range of various treatment options including fixed, removable and clear braces. We offer treatment for children right up to adults with a range of flexible repayment options and appointment times. When does orthodontic treatment start? Orthodontic usually starts once most of a child’s permanent teeth have come through, however this can vary from person to person but more common during secondary school. 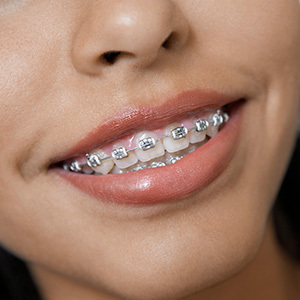 What should I be aware of before the start of orthodontic treatment? Patients looking to undergo orthodontic treatment must demonstrate a commitment and a good standard of oral hygiene including adequate home care of teeth and gums as orthodontic appliances can increase the risk of dental decay as fixed appliances require more careful cleaning and extra brushing time. Patients must also be prepared to avoid sugary drinks and hard foods. Your orthodontist will give you tips and advice on how to look after your mouth whilst undergoing orthodontic treatment. It is normally to experience a degree of discomfort and you may notice some tenderness and aching as the teeth start to move, however in most cases this discomfort will wear off in a matter of days. Speak to your orthodontist about how to manage any discomfort. *Saturdays are worked on an alternate basis.